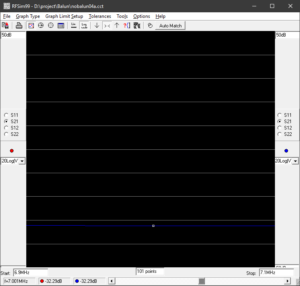 Above is the simulation result, |S21|=-32.29dB. 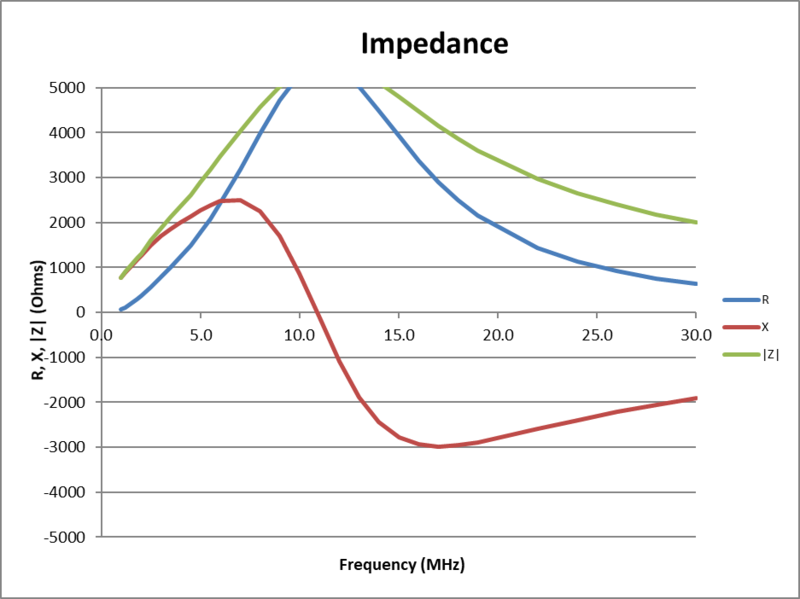 Now the discussion online freely states or implies that this quantifies the extent by which the common mode choke will reduce feed line common mode in an antenna system. Above is the wire segment info for Model 4 for the segment which would contain the choke loading (but it is not there yet). The magnitude of Icm (0.69-j4.82mA) can be calculated to be 4.86mA. Above is the wire segment info for the segment containing the choke loading. The magnitude of Icm (-0.3-j1.74mA) can be calculated to be 1.76mA. 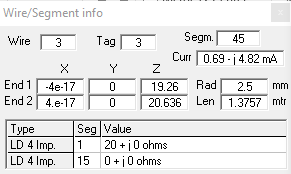 So, the choke has changed common mode current in that segment by 20*log(1.76/4.86)=-8.8dB. 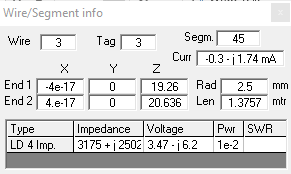 Wait a minute, that is nowhere near the |s21| figure of -32.27dB. They aren’t the same thing, |S21| does not simply imply the change in Icm using the choke. There is no theoretical basis to expect that it does, and the online experts are simply wrong in making the inference. So, let’s try adding two chokes in series. Above is the wire segment info for the segment containing the choke loading. The magnitude of Icm (-0.2-j1.03mA) can be calculated to be 1.05mA. 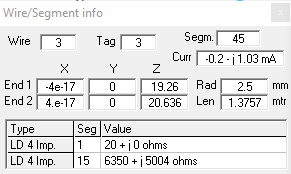 So, the additional choke has changed common mode current in that segment by 20*log(1.05/1.76)=-4.49dB. That is about half the reduction due to the first choke. The Icm reduction ratio is not a simple property of the choke as shown in the above cases, in this scenario an additional choke (at the same location) reduced current by about half that of the first choke. Further experiments will show that the effect of a particular choke is highly scenario dependent. Simplistic linear circuit models that do not capture the coupled conducts as NEC does are not likely to give valid results. 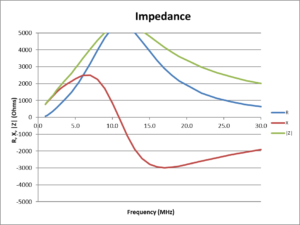 Above is the modelled choke common mode impedance Zcm components. As mention, the model is calibrated to measurement of an actual choke, and the model reconciles very well with measurement. The R and X values in the graph can be inserted into an NEC model as load values in the common mode conductor path at the point of insertion of the choke. 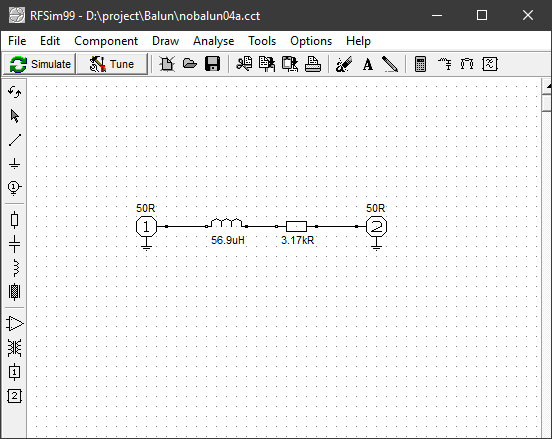 Such a model can show the current distribution with the choke loading, and model the effects on input impedance, gain, efficiency etc. 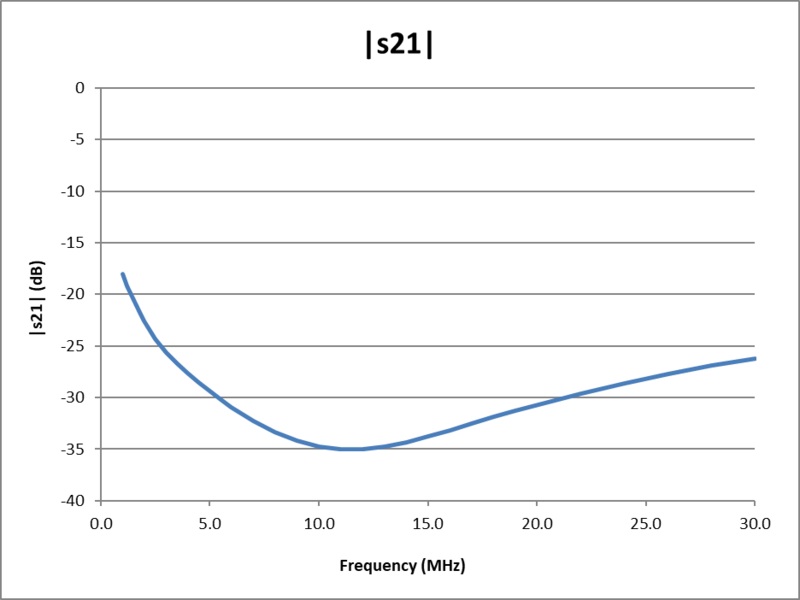 s21 is a complex value (having both real and imaginary parts), and |s21| is the magnitude of s21, it is less information than s21, the phase angle has been discarded. Above is a plot of |s21| calculated from the R and X plots given earlier. It has been shown by example that you cannot infer the reduction in Icm due to a choke based simply on |s21|. Can you use |s21| to model the choke in NEC similarly to what was done based on R,X? R,X can be calculated from the s21 measurement of a choke, but it CANNOT be calculated from |s21| because the important phase information has been discarded. 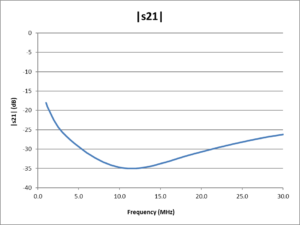 In answer to the question Is |s21| measurement of a common mode choke meaningful to antenna systems? |s21| cannot be used to determine the values for NEC to model the choke as a LD (load) element.